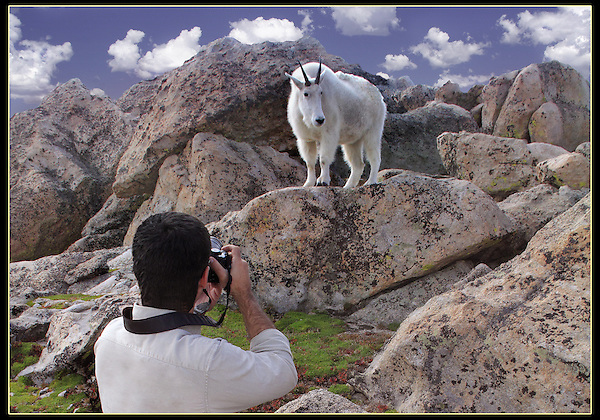 Wildlife photographer and Mountain Goat on Mt Evans, Colorado. John leads private, wildlife photo tours throughout Colorado. Year-round.